Proposals are due on Tuesday, March 5, 2019. 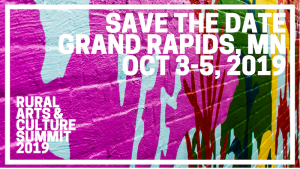 Springboard for the Arts is now seeking session ideas for the 2019 Rural Arts & Culture Summit, which will take place October 3 – 5, 2019 at the Reif Performing Arts Center in Grand Rapids, Minnesota. Proposals are due on Tuesday, March 5, 2019. This year, they particularly interested in session ideas that address the idea of “Creative People Power,” in rural places. What does creative people power look like in your community? 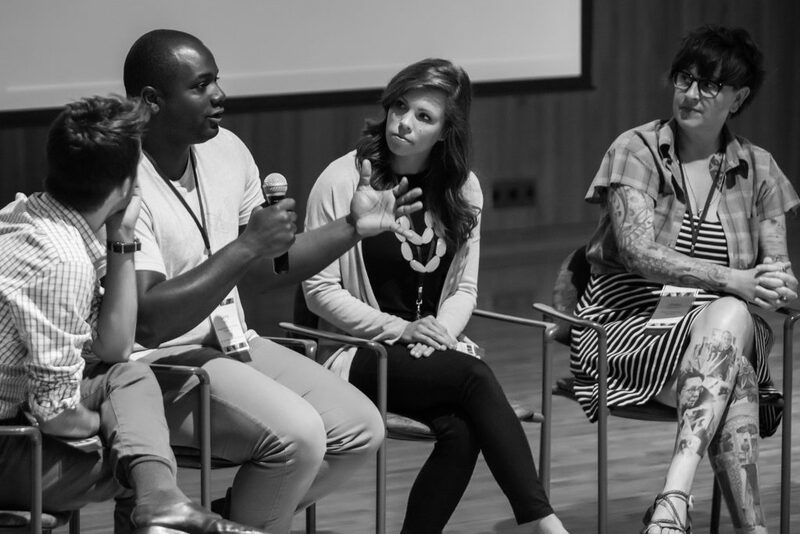 How to we create and sustain the conditions that allow for long-term, sustainable creative leadership rooted in culture and identities of the community at large? Provide resources, skill building or training to help individual artists thrive in rural communities. Provide resources, skill building or training to help arts organizations thrive in rural communities. Provide stories of impact and lessons learned about artists engaging in rural community development issues. Celebrate diverse forms of creative expression in rural places. Inspire action for sustaining or growing systems of support for rural arts and culture. The deadline for submitting your proposal is 11:59pm on Tuesday, March 5. Please download and review our proposal guidelines before submitting a proposal.